Killer Robots In South Korea, Dystopia Or Real Life? For decades, writers, artists, and scientists have wondered how robots and artificial intelligence would one day alter human life. Would they serve as an existential threat? Change the face of warfare? Eliminate menial labor? Or even act as friends and spouses? Today it seems one of the most fundamental fears regarding artificial intelligence has been confirmed: scientists in South Korea are allegedly working with defense contractors to create “killer robots” potentially amping up the arms race and changing warfare forever. Killer Robots in South Korea? 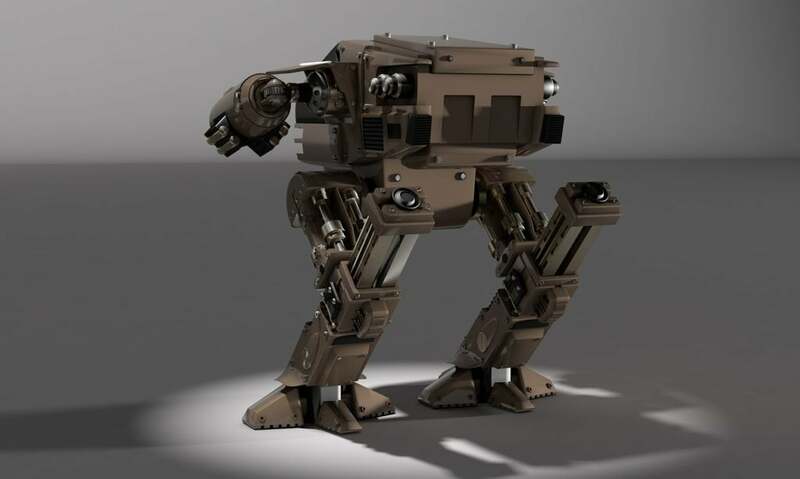 Last month, more than 50 scientists specializing in artificial intelligence called for a boycott of the Korea Advanced Institute of Science and Technology (KAIST) over allegations that scientists within the institution are working with defense contractors to create killer robots. The university has denied claims that their scientists are looking “to accelerate the arms race to develop such weapons” i.e. killer robots. CIAIR refers to a statement issued in February by KAIST. The statement announced the university would be opening an AI research center in collaboration with the defense company Hanwha Systems. The statement has since been deleted from the university’s website. A newspaper in South Korea, the Korea Times, had reported early this year that the University planned to study killer robots and how advanced technology could allow unmanned drones, submarines, and missiles to make their own decisions in battle. We therefore publicly declare that we will boycott all collaborations with any part of KAIST until such time as the President of KAIST provides assurances, which we have sought but not received, that the Center will not develop autonomous weapons lacking meaningful human control. In the past, warfare required sending thousands of people into battle, which called for thousands and thousands of pounds of supplies and complicated supply routes. It was fought face to face where the loss in human life and culture could be measured by any onlooker or soldier. After the Vietnam War, when the devastating effects of war could be broadcasted directly into any living room, the antiwar movement grew exponentially. In short, war was expensive, complicated, high in casualties, and not exactly popular with the general population. In the world of AI weapons, war could be waged with a click of a button, removing many of the factors that have hindered war todate. Walsh underscores this point, “Previously if you wanted to do harm you needed an army to do as you heeded, hundreds of people to follow your orders, now you just need one programmer.” Some of these effects have been seen with drones attacks in the Middle East. Suddenly, killer robots and AI driven warfare, once the fantastical fears of dystopian writers and the fanciful plots of Will Smith movies, now seems like an unavoidable reality. As Walsh points out, AI can be used to improve human lives. Artificial intelligence and robotics could be developed to bring humanitarian aid to populations besieged by war. In Syria, hundreds are trapped beneath rubble and in areas far too dangerous for humanitarian aid to reach. Could AI instead be developed to reduce civilian casualties in war? The UN has called for a ban on autonomous weapons and killer robots. On Monday, the UN Group of Governmental Experts on Lethal Autonomous Weapons Systems will be meeting to discuss the threat of AI weapons and the potential for a worldwide ban on the development of autonomous weapons. 123 nations will take part in the meeting in Vienna.